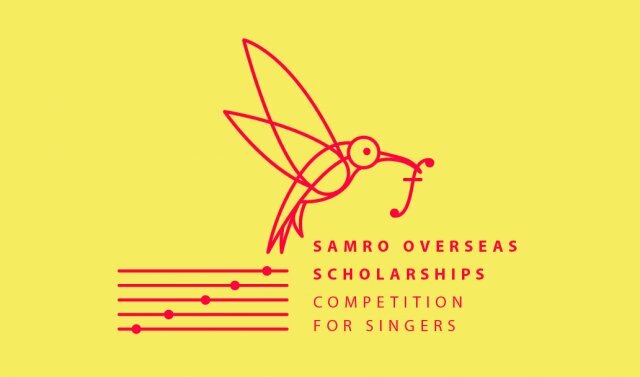 Regulations for the SAMRO Overseas Scholarships Competition 2019 can be downloaded here. Please download the Repertoire List, which is an editable pdf, to complete and upload to your application when the form is live. The SAMRO Hubert van der Spuy National Music Competition (primary school level), the Cape Town and Gauteng Big Band Jazz Festivals (high school level) and the SAMRO Overseas Scholarships competition (tertiary education level) make up the Foundation’s three flagship projects of musical excellence. The final round of the 2016 SAMRO Hubert van der Spuy National Music Competition will take place on Friday night, 30 September 2016 at the Hugo Lambrechts Auditorium in Parow, Cape Town. This prestigious music competition for primary school pupils is organised annually by the Tygerberg branch of the South African Society of Music Teachers (SASMT), with prizes worth more than R50 000 for the winners and their teachers. This competition has already put a number of young South African musicians on the road to (even international) acclaim and successful careers in music. 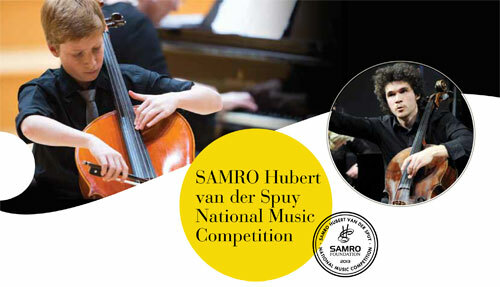 The mission of the SAMRO Hubert van der Spuy National Music Competition is to offer talented young music learners the opportunity to learn from one another in a competition environment and to compete on a national level. The festival was founded in 1999 by the late Dennis Barr with the intention of providing a platform for players in schools, colleges and community bands to hone their talents and encourage career-building development through education. It places particular emphasis on the musical arrangement and performance of big band jazz standards, including South African compositions. As part of its outreach component, the Cape Town Big Band Jazz Festival presents free performances by the participating big bands to entertain senior citizens and hundreds of youngsters from disadvantaged backgrounds. The festival, in support of music education in the big band jazz format for schools, will be celebrating its 18th Anniversary at the Baxter Theatre from 1 - 4 June 2016 and will showcase 24 schools, colleges and community big bands and special guest artists. Proceeds from the Festival are utilised for various initiatives, especially in disadvantaged communities Apart from the sponsoring a number of projects, the festival also funds school-based music programmes for the at-risk youths in Athlone and Manenberg, and donates instruments to institutions in need. The Cape Town Big Band Jazz Festival’s younger inland counterpart is the Gauteng Big Band Jazz Festival which piloted in 2012. It has grown to such an extent that the 2015 event, held at St Mary’s School in Johannesburg, featured nine jazz bands performing over two nights. Participants included school bands, youth jazz ensembles and the Tshwane University of Technology Big Band. The SAMRO Foundation is confident that the Gauteng festival is on track to emulate the success of its Cape Town counterpart, and is committed to ensuring that both events continue to support, encourage and showcase the exceptional talent of the country’s aspiring teenage jazz musicians. Objectives of this festival include to provide a platform where school Jazz Bands in Gauteng can perform, to grow the awareness and appreciation of Jazz in schools in Gauteng and to connect young musicians of different socio- economic backgrounds within the common language of Jazz. This festival now in its 5th year, will again be staged at The Edge, St Mary’s School on the 16th and 17th of September 2016.